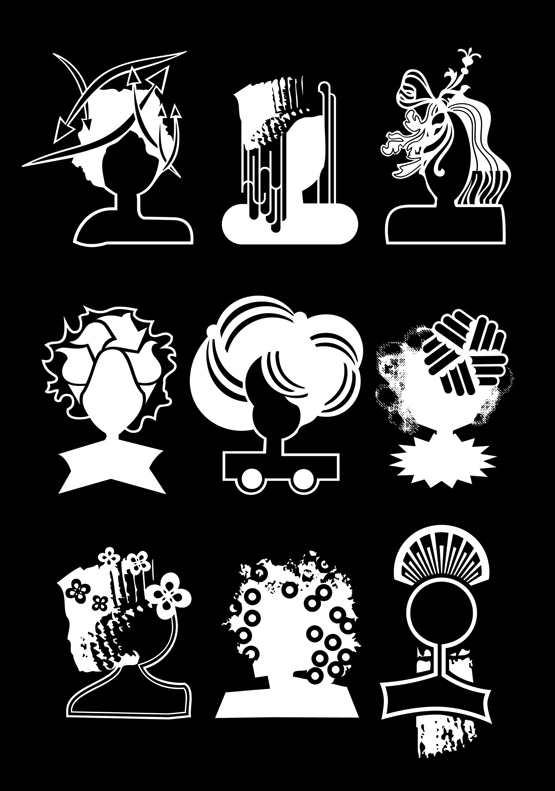 Headstyles is a dingbat font made out of illustrations I specifically developed for a design-writing project on style politics at CalArts. 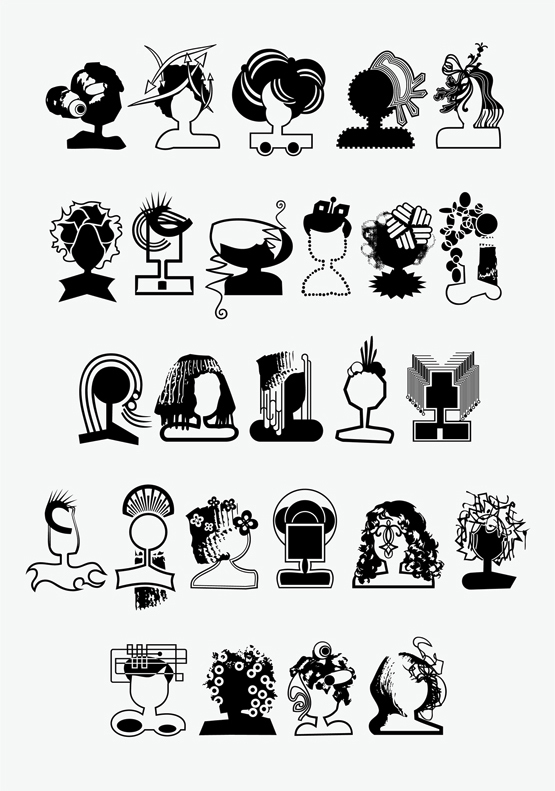 The head and hairstyle illustrations are visual interpretations of various aspects of style politics. 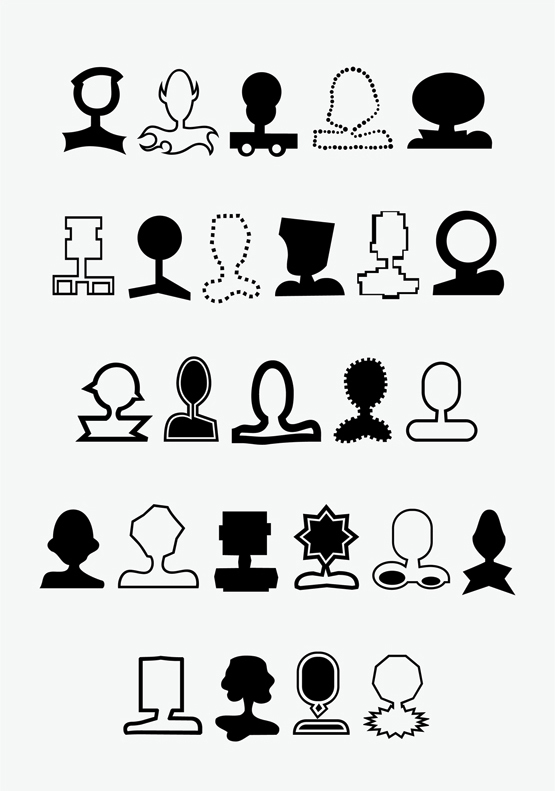 In the tangle of visual codes the individual styling decides on both inclusion and exclusion to social groups. The semantic experimental field of self expression is defined by keywords such as subversion, conformity, rebellion, affirmation, appropriation, eclecticism, branding, styling, fashion, tradition, norms, conventions, stereotypes, control, censorship etc. The font comprises 52 illustrations.